The Carson Valley Chamber of Commerce is a partner of BIPAC, a non-partisan clearing house of political information. Click here to access that website. Q: Why Should I Join the Chamber of Commerce? A: It’s An Easy and Inexpensive Way to Build Personal and Professional Success. 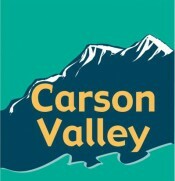 Get connected to a network of community outreach and information programs that will keep you stay informed on what is happening in and around the Carson Valley, resulting in a stronger business. Website: As a chamber member your business information is available on the Chamber website. An expanded section for your business information and a link to your site is part of your standard membership. For additional traffic and exposure, banners are available throughout the site. 2 in 2: Members receive event and meeting updates via this brief (2 minute) twice weekly e-mail with up-to-date community events and business developments. General Membership Luncheons: Every month members meet for networking, guest speakers and a chance to be “Business of the Month”. New members have the opportunity to speak to the group about their business. Representation to Government: Members can be assured that their business interests will be represented before local and state government. E- Blasts: Members can reach out to the Chamber’s members with customized e-blasts. Quarterly Mailings: Four times per year we mail special offers and you can insert your own flyer for all 400+ fellow members. Call the chamber for cost and details. Keeping yourself informed and educated about the latest business, political and community development events in and around the Carson Valley paves the way for personal and professional growth. Important Meetings and Events: The chamber staff represents you at important business association meetings and events to ensure you have the most current news and information. Seminars and Workshops: The chamber works with partners, including the Northern Nevada Development Authority, the Nevada Small Business Development Center, and the Business Council of Douglas County, to sponsor periodic educational opportunities throughout the year. The Business Builder Series provides in depth seminars on areas like social marketing, QuickBooks, business plans and more. Professional Counseling Services: Specialized services offering advice and problem solving for business related issues are available at no charge through our affiliation with SCORE and the Nevada Small Business Development Center. Business Intelligence Report: Nationally distributed, quick-read monthly resource that provides business professionals with the latest strategies, tips and news for running your business more effectively. Leadership Douglas County: A unique leadership program that develop better informed, involved and knowledgeable employees and citizens for Douglas County. The Chamber of Commerce provides access to advertising, special events, database marketing and special promotions in the ongoing effort to raise the economic vitality of our region. Publications and Brochures: Members have access to an array of brochures and publications. Membership lists, clubs and organizations, lodging, restaurants, attractions, schools, churches and more. Business After Hours: Only chamber members have the opportunity to host one of our popular mixers that combine business and social contacts, great food and beverages, along with raffle prizes and fun. Call the chamber office for more information. Business Showcase: This annual event draws close to a thousand business people and local residents to a special trade show that allows you to display your products or services and meet your customers. Grand Openings & Ribbon Cuttings: The chamber helps produce your grand opening and ribbon cutting. Great for new business, ownership changes, business anniversaries or relocations. Business Referrals: The chamber receives many referral requests each year. Referrals are offered to chamber members only. The Chamber relies on members to work with staff through a committee structure to accomplish our annual goals and objectives. Economic & Community Development, Ambassadors and Leadership are just a few of the committee opportunities available. Ask the chamber staff how you can become involved in setting policy and achieving success. Download this and submit to update your membership information.